After your death, your daughter is having serious financial struggles and the money you’ve bequeathed to her would pull her out of financial misery. It would help her to pay your funeral and other outstanding expenses. But, because by law your estate must pass through probate, it will take several months before your daughter can receive the money you have left her. In the meantime, a disgruntled step-son from a prior marriage decides to pursue a Will contest, claiming that the Will is not valid and that he deserves some money, too. He knows the amount of the estate because the probate process is a matter of public record. You can imagine how the rest of the story goes and how, although you had an estate plan and the best intentions to provide for your daughter, she will be bearing a great burden – the last thing you’d want for her. Want to prevent this type of scenario? When you have a revocable living trust, you transfer legal title of assets to a trustee (often yourself), who can complete the administration of your estate without going through probate. And a trust provides the beneficiaries with immediate access to your assets unlike in probate, which could take many months. A trust also keeps the details of your estate private. Unlike the probate process, nosy and unscrupulous individuals won’t have access to how much is in your estate, who you chose as beneficiaries (and their addresses! ), and who your creditors are. Unlike contesting a will, it is extremely time-consuming and costly for someone to challenge a trust. With a trust, you can protect your beneficiaries from disgruntled individuals who deem your will invalid, or who feel they should benefit from your estate. Another way to avoid probate would be to establish joint bank accounts, payable on death (POD) accounts or transfer on death (TOD) accounts. Under a POD arrangement, your assets will automatically transfer to your selected beneficiaries upon death. A TOD account applies to securities such as stocks or bonds. Although these forms of transferring ownership would effectively avoid probate, they wouldn’t adequately protect you the way a trust does. There are risks involved and it may prove inconsistent with the wishes you have expressed in your will. Do your best to avoid probate. 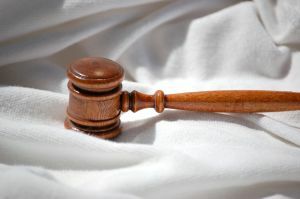 Visit a Connecticut probate attorney who can help you increase the control you have over your property and your final wishes. And spare your loved ones the burden of prolonged (and sometimes expensive) probate court proceedings.